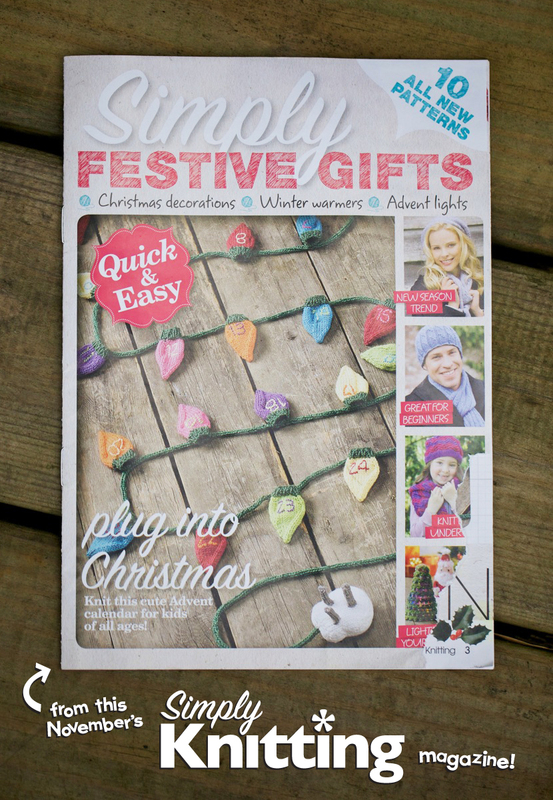 Jet’s Advent calendar in Simply Knitting magazine! 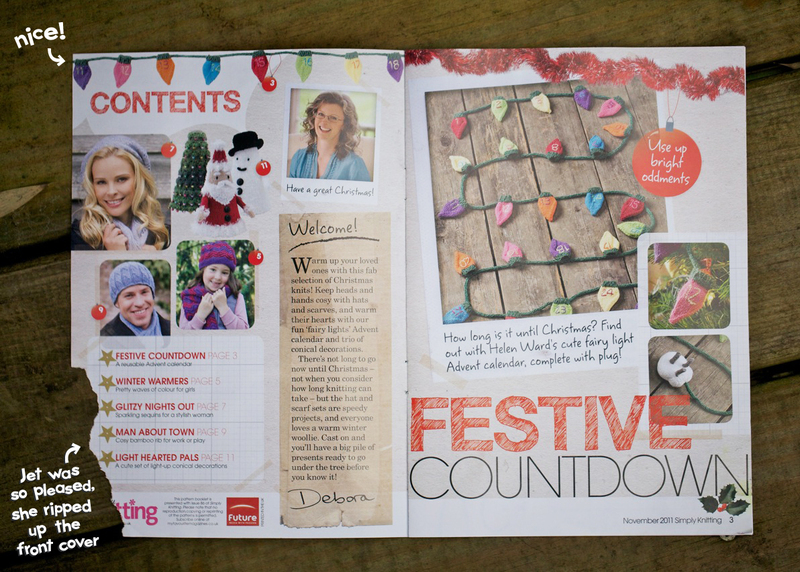 The pattern for Jet’s advent calendar that I made last year (as can be seen here) has been featured in the ‘Festive Gifts’ supplement of November 2011’s Simply Knitting magazine! I felt like a minor knitting celebrity when I went to the wool shop over the weekend – but then I was a bit bummed to see that they didn’t actually have the magazine up on the shelves (probably all sold out, eh?). I am sure they sussed me out as being a rubbish amateur anyway when I ended up having to ask a variety of obvious yarn based questions – damnit! Check out the photography on the magazine compared to the pics I took originally here. I guess they liked the style, but didn’t want to have to pay me for the photos – It took me ages to notice they weren’t the same ones!